Do you find yourself struggling to stay awake in the middle of the afternoon? Research shows having a coffee nap, where you drink cup of coffee and taking a 20 minute nap, is the most effective way to restore your energy. The “coffee nap” strategy is a great way to maximise the effect of caffeine from a cup of coffee as well as the refreshed feeling you get after a 20 minute nap. In one study, scientists found people who were asked to use a driving simulator after taking a coffee nap made fewer mistakes than those who were just given coffee or took a nap on its own. Meanwhile, another study showed taking a coffee nap can improve memory as people who combined coffee with a nap performed significantly better in memory tests than those who only took a nap. There’s also evidence to suggest this approach allows people to stay up for long periods of time, as was seen in a study where people stayed awake for 24 hours, taking short naps at certain times. Those who were given a placebo performed worse on cognition tests, but those given caffeine scored about the same as they would with proper sleeping patterns. So how does a coffee nap work? First you need to understand what coffee does to your body – specifically, your brain. Coffee passes into your small intestine where caffeine is absorbed into your bloodstream. Once in your brain, it will block the receptors that are usually filled with a chemical called adenosine. Adenosine is a byproduct of brain activity and when it reaches high enough levels, it starts to plug these receptors, making you feel tired or sluggish. By taking the place of adenosine in the receptors, caffeine speeds up the nerve cells – giving you a jolt of energy and focus! Going to sleep naturally clears adenosine from your brain, so caffeine molecules don’t have to compete for a spot on receptors.Many people assume it’s impossible to fall asleep once you have a coffee, but you actually have 20 minutes after taking your first sip before it’s metabolised and starts to take effect. How do you take a coffee nap? First, you need to do the obvious – drink coffee, or anything with a decent amount of caffeine in it. 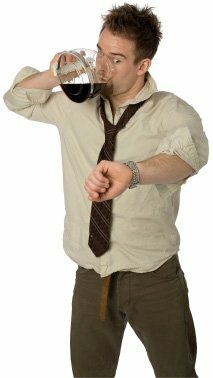 Drink it quickly, so you have enough time to get to sleep as it’s going through your digestive system and being metabolised. If you don’t want to burn your tongue, you can always try an iced coffee! Second, go straight to sleep. If you can’t count enough sheep to get there, don’t worry – one study showed that even dozing or lying quietly in a bed can reduce the amount of adenosine in your brain and have a similar effect. Third (and finally), make sure you don’t sleep for more than 20 minutes. After this, you start to enter a deep sleep and may wake up feeling more groggy than when you started. As someone who has these coffee naps most weekends, I can guarantee you will wake up feeling refreshed and full of energy! Isn’t coffee a mao-a inhibitor ? Is my reading right that this can lead to a decreased rate of breakdown of neurotx leading to a rebalancing that can create depression. Especially in those that are are homozygous for mao-a. ? I’m not sure which is best being the wheel of a simulator but an anxious depressed driver being the wheel of a real car (more stressful than a simulator) doesn’t bode well with me.